Here’s a quick rundown on composite decks. Most are made from recycled wood scraps and plastic ­– making them pretty eco-friendly. They come in a variety of earth-tones and wood colors to match your outdoor decor. 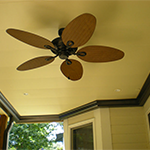 Many manufacturers also add fake wood grains, either in the coloring or the mold in which the planks are formed. 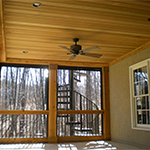 Composite decks come in a plank form, similar to traditional treated wood planks. 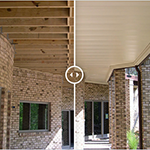 You also have the option now to buy composite deck tiles. If you don’t want to completely replace your existing wood deck, you can use these tiles to cover the entire area. Home Depot boasts that they snap together and only take a few minutes to install. The fact that composite decking needs far less maintenance is also appealing. A good scrub in the spring will help keep it clean and free of mold. No more dangerous chemicals that can harm the environment! What Are the Drawbacks of Composite Decks? These are all great and wonderful things, but, as with most things in life, there are a few downsides. While composite decks won’t rot and are considered more durable than wood, it doesn’t mean they’re completely safe from damage. Patio furniture or debris from a passing storm may scratch the surface. 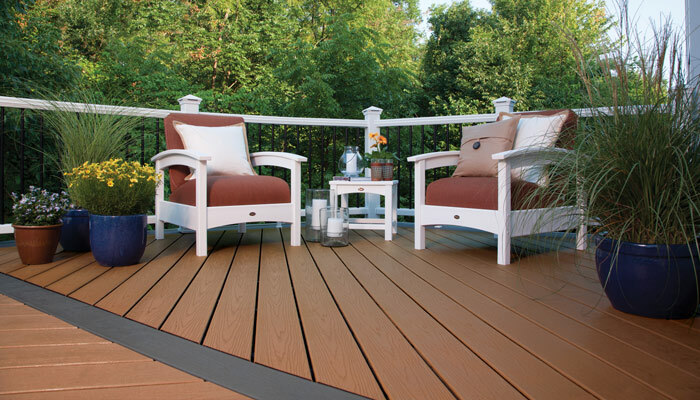 Unlike wood, which you can sand and refinish, composite decking can’t be refinished. Your only option is to shell out a few bucks to replace the damaged plank completely. Fading seems to be another complaint with composite deck owners. 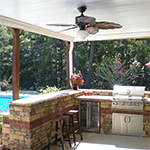 Garden Structure says, “The color fades and cleaning with the harsh chemicals they recommend leaves the decking chalky and porous.” They add that some manufactures have released coatings, which may remedy this problem. If spending a little less money and doing some regular maintenance sounds okay to you, stick with the old-fashioned wood decking. Go for the composite deck if you don’t mind spending a bit more money for a deck that requires far less maintenance and is eco-friendly.